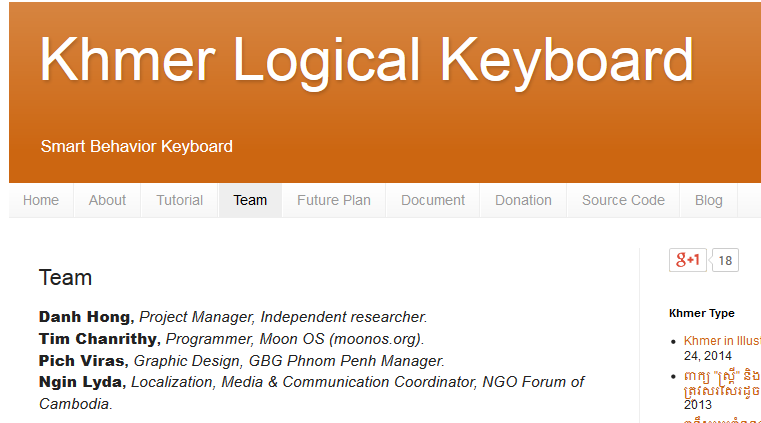 The purpose of this document is to help developers who do not know the Khmer script to understand what is involved in displaying Khmer Unicode correctly. 1) set of frequently used characters will be assigned to the normal state. 2) less frequently used characters will be assigned to the Shift state of the layout. 3) characters rarely used in conversation, will be assigned to the Long Press state. It will not be a phonetic layout derived from QWERTY or AZERTY layouts. It will not include combined vowels and characters which are never used in conversation.